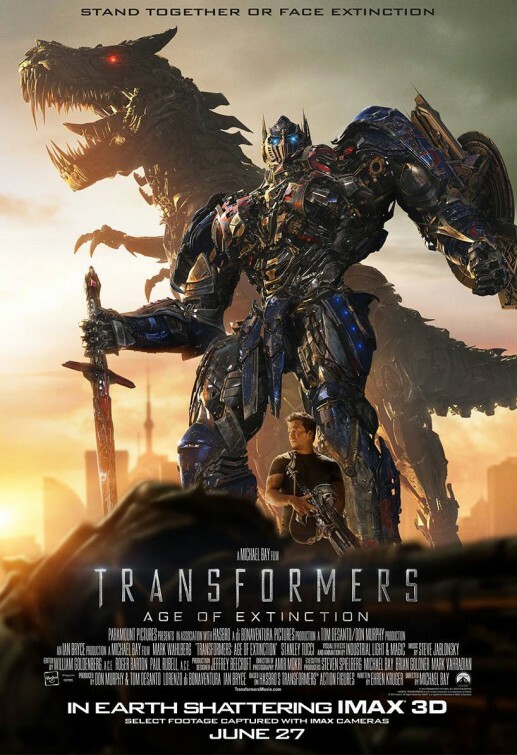 Review: In the days that have passed since taking in Transformers: Age of Extinction I’ve been slightly amused by all the critics flapping their gums about how big, dumb, loud, and long director Michael Bay’s fourth film in the Transformers franchise is. My response to that is: What else were you expecting? I mean, if the series had shifted to the hands of a new director as was originally rumored, I could see some validity in the outcry that the series truly was just fodder for deafening explosions and nonsensical action sequences. This is Michael Bay we’re talking about here and he’s delivered exactly what he was hired to do. Now, I’m not saying that Transformers: Age of Extinction is the kind of movie you should get down on your knees and thank your lucky stars for because it only barely passes the litmus test of summer blockbuster. I’m just asking that you consider the franchise in question as well as considering the director behind the camera. If I tell you that Transformers: Age of Extinction is the best of the series so far I’d imagine you’d take that with a grain of salt because the first three were so tremendously dumb that they’d make instructional videos on sealing an envelope look like NASA training material. Featuring the increasingly unlikable Shia LeBeouf and a parade of actors culled from the covers of GQ and Maxim magazines, the original trilogy were all sound and fury, signifying nothing. This fourth film seeks to reboot the franchise…or at least take it in a new direction. Major points are given off the bat for jettisoning LeBeouf and the walking mannequins in favor of, well, similar looking actors that always appear to be fresh from the gym and tanning beds. That they are all a notable improvement over any of the previous cast members should say something significant about the casting department over at Paramount. Though you may scoff at Mark Wahlberg (Lone Survivor) playing a goofy Texas inventor that obviously spends an equal amount of time lifting weights as submitting patents, the actor acquits himself nicely by rising above Ehren Kruger’s willy-nilly script and applying the appropriate amount of muscle in tandem with a surprising pep in his step. This may be Wahlberg’s most big budget, high-profile film to date and even if he winds up being another chess piece in Michael Bay’s endgame, he comes out mostly unscathed. Though they aren’t technically replacing anyone, Nicola Peltz (TV’s Bates Motel) and Jack Reynor (Delivery Man) are obviously filling in for the archetypes vacated by LeBeouf and Megan Fox. It’s nice to report that both are engaging presences and that spunky Peltz is given way more to do than Reynor’s rally car driver whose character seems to only be good at shifting gears at the right moment. Stanley Tucci (Jack the Giant Slayer) pops up with another character in his canon that’s more about the outer appearance than anything going on under the skin. Too much time is spent with Tucci, just another way the film manages to waste quite a lot of the early momentum it builds. Pacing has never really been of much concern to Bay (nor is his ongoing rampant misogyny) but here he really needed to let go of at least 45 minutes of material. The film has so many endings culminating in one of the longest finales I’ve ever witnessed outside of when I still watched American Idol. Compounded with the deafening sound design and above average use of 3D effects audiences will most likely be seen exiting the theater nearly comatose from overstimulation. While most critics are giving Bay crap about the film, I’d like to publicly state that I found his previous film (Pain & Gain) to be even more of a punishing experience…and that film didn’t even have Dinobots! Look, Transformers has always been and will always be a series made up of a lot of hollow parts. Transformers: Age of Extinction doesn’t add any meat to the bones of the franchise but it’s a helluva lot better than its predecessors and delivers true bang for your buck. Just please…don’t ask it to be something it’s not. Finally, a spot-on review of Age of Extinction, People expecting a Nolan-esque profundity from a film about toy robots shouldn’t be allowed to review the movie.